May is going to be about Adelaide in my People and Places album - yes- I am behind - ha ha - what's new? This week I will be posting photos from the Museum and Art Gallery. 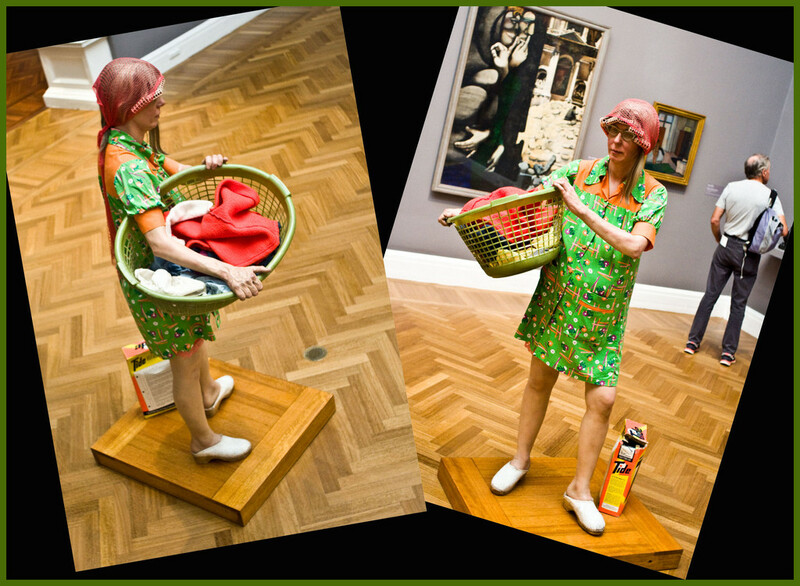 This 165cm Woman located at the Art Gallery of South Australia in Adelaide was not made by sculpting or moulding. Hanson used direct casting from live humans and coloured polyster resins to match the skin. Real accessories such as hair, clothes, shoes, jewerlly and others were used to merge the boundaries between art and life. Very interesting. I like your presentation. Wonderful - she's so life-like it's spooky. @annied it's a horrid task! Love Mr. Hanson's pieces, they are both fun and eye opening. Great presentation. FAv! Oh she does look so real, maybe too real! Oh wow, love that sculpture, very true to type, down to the Sloggers.